Want to review and provide comments on proposed improvement strategies for Rand Road? Join the Village of Mount Prospect to share your feedback on various draft strategies at the second open house on Monday, September 26th. 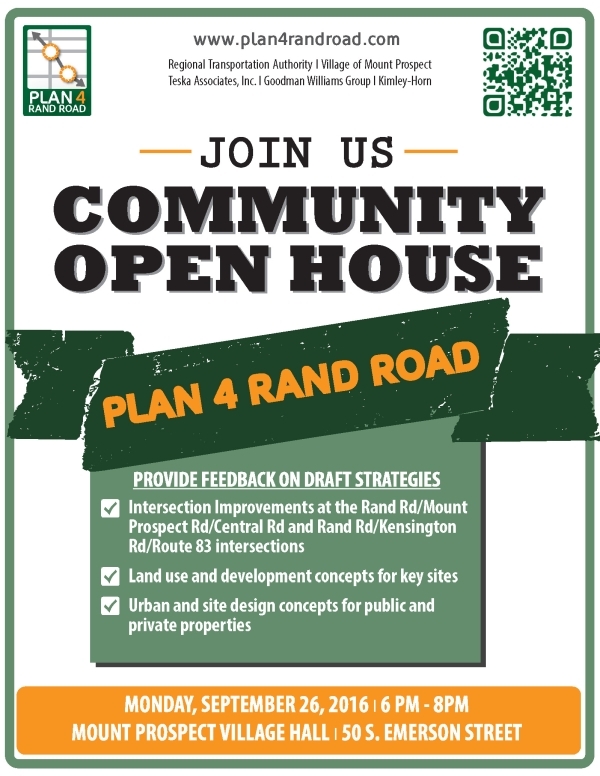 Draft strategies relate to intersection improvements (Rand Rd/Mount Prospect Rd/Central Rd and Rand Rd/Kensington Rd/Route 83), land use and development concepts, and urban design concepts for public and private properties along the Rand Road Corridor. We look forward to receiving your feedback! September 14, 2016 in Interact.